Irvine City Council says San Onofre is not safe. See 4/30/2012 Irvine letter to NRC Chairman Jaczko. Stay updated on city’s concerns about San Onofre. Attend city council meetings and read updates below on recent activities from prior meetings. Agenda: Available prior to meetings on City Council Agenda web page. Video Archives of meetings are available within 24 hours after live broadcast. 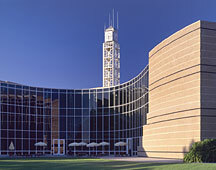 City Council meetings are held the 2nd and 4th Tuesday of each month in City Council Chambers, Irvine City Hall. Session starts at 4:00 pm with recess before 5:00 pm. Presentations and additional matters of business begin at 5:00 pm. Public comments are limited to 3 minutes per speaker. Public comments will be heard at approximately 6:30 pm or prior to adjournment, whichever occurs earlier. For details, see agenda or call city at 949-724-6000. City Council meetings are broadcast live on ICTV (cable channel 30). Southern California Edison and the California ISO (electricity grid operator) presented their plans to avoid blackouts if San Onofre is still shut down this summer. See video of presentation and meeting. Select Agenda Item 2.4. The city council asked Edison and the ISO to respond to questions asked by the public (during the public comment period). City staff will compile questions and send to Edison for their response. Support Senator Feinstein’s April 20, 2011 letter to NRC that strongly encourages the NRC to modify its relicensing policies in order to assure a full reexamination of design basis elements, including seismic and tsunami hazards, operational issues, plant security, emergency preparedness, and spent fuel storage options — just as they would in the licensing of a new nuclear power plant. Swiftly adopt “Near-term Task Force Recommendations for Enhancing Reactor Safety in the 21st Century“ [Lessons learned from Fukushima Daiichi]. Expand the Emergency Planning Zone from 10 to 50 miles. Revise the risk/benefit analysis the NRC uses to ensure it adequately assesses public risk levels — especially concerning to human performance [given the recent years-long management and safety culture issues at San Onofre]. Require utilities move spent fuel rods to dry cask storage as soon as safely possible. Withhold permission to restart San Onofre until the NRC provides full assurances both reactors will not exhibit any of the current steam generator tube vibration, corrosion, and degradation problems during the remaining 10 years of licensed operations. See agenda (Item 6.2 for San Onofre) for handouts presented at the City Council meeting, including handouts submitted during public comment period and 4/30/2012 Irvine letter to NRC Chairman Gregory Jaczko. World renown independent nuclear expert, Arnie Gundersen, and energy expert, David Freeman made presentations. See video of meeting and presentations. Select Agenda Item 6.2. 1) Review the City Council subcommittee’s draft advocacy letter, revise as deemed appropriate, and authorize its distribution in substantially similar form to the Nuclear Regulatory Commission and other interested parties. 2) Receive and file response to questions posed during March 27, 2012 meeting. See supporting material for above two items. Irvine City Councilmembers said the San Onofre nuclear power plant needs to be shut down BEFORE the 2022 license expiration. San Onofre represents an unacceptable risk to public health and safety and we need a safer more reliable energy future. “We need to plan the quickest possible solution”, said Councilman Larry Agran in his compelling remarks at the 3/27/2012 City Council meeting. The Council directed staff to prepare action items for the 4/24/2012 City Council meeting. See last page of Agran’s remarks, “Questions for Irvine City Staff“. Nelson Mar, PhD (former Senior Engineer for the analysis and original design of San Onofre Units 2 & 3), said San Onofre is not designed for current earthquake or tsunami risks. The design engineers were told San Onofre would never have more than a 7.0 earthquake or 30′ tsunami. After Fukushima, he realized that information was incorrect and we could have an earthquake similar to Fukushima. He is the second speaker in the Public Comment section of the following video (time stamp: 1:18:30 – 1:26:00). Select Item 6.1 Public Safety and the San Onofre Nuclear Generating Station on the Irvine City webpage. Video of San Onofre agenda item: “jump to” Agenda Item 6.1. Video of Public Comments: “jump to” Public Comments. San Onofre public comments begin after the first public comment speaker. Handouts: select Item 6.1 of the document. Supporting materials will appear on the right side of the screen.